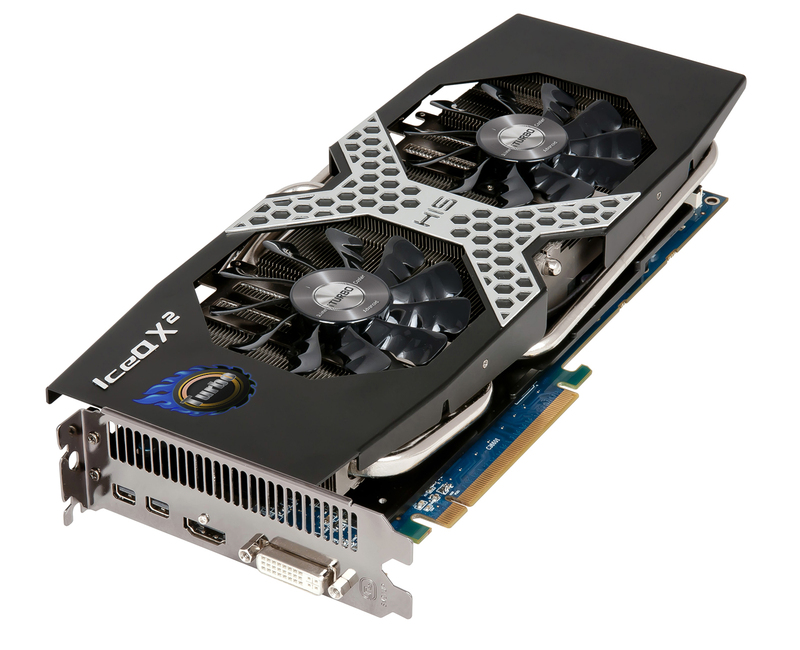 HIS Digital, Today announced the launch of its new HD 7970 IceQ X2 and HD 7950 IceQ Series Graphic Cards. 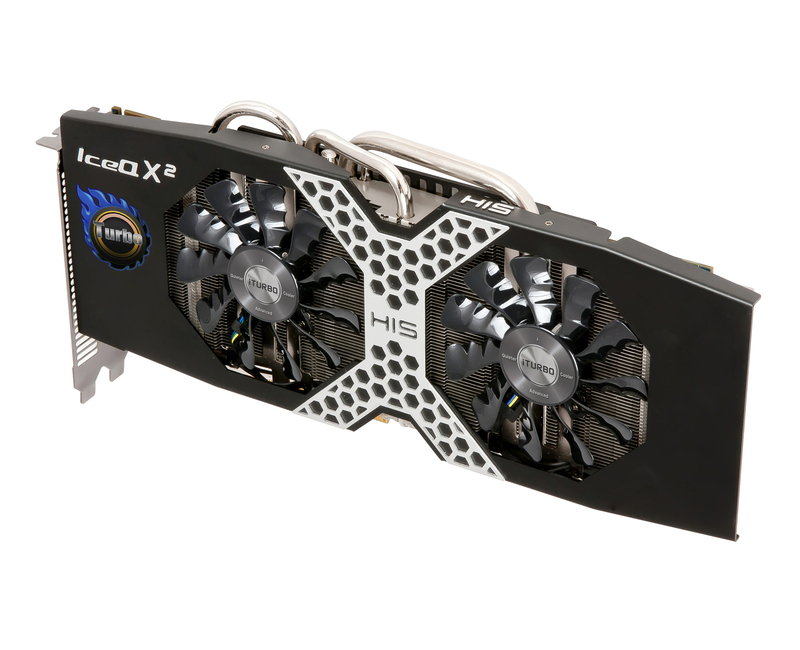 Both IceQ and IceQ X2 series cards come in a reference and overclocked variants. The HIS Radeon HD 7970 IceQ X2 are equipped with the latest IceQ X² cooling heatsink which features a dense aluminum fin array transferring heat through three 6 mm and two 8 mm nickel-plated copper heat pipes cooled by two high airflow fans. Both cards feature the same heatsink, The reference model sticks with AMD’s Reference Clock Speeds while the other one features Factory overclocked frequencies of 1050 MHz Core and 5.60 GHz Memory Clock. 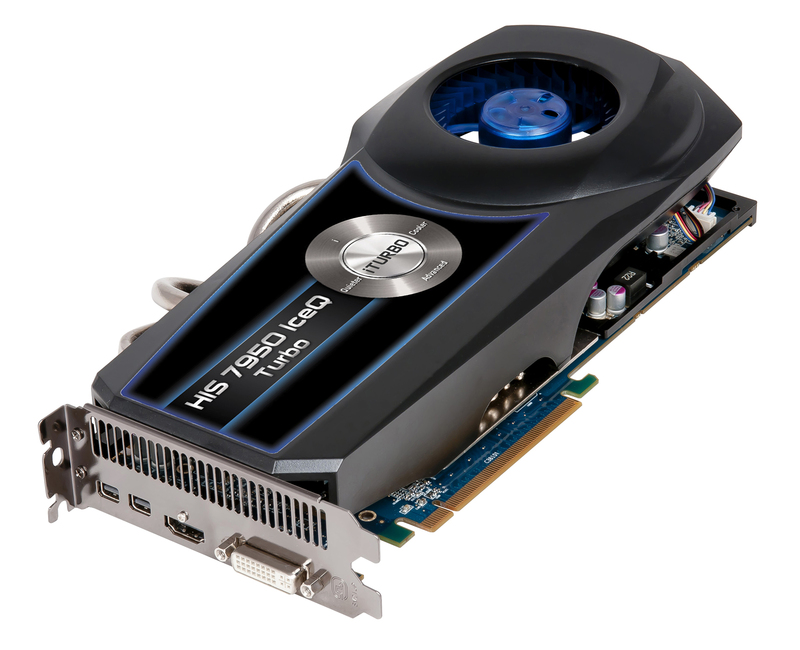 The HIS Radeon HD 7950 IceQ features the IceQ iTurbo cooler which was also used on the recently launched HD7870 IceQ GPU. Both cards feature the same heatsink which features a smaller dense aluminum fin array equipped with two 6mm and two 8mm nickel plated copped heatpipes which are cooled by a large blower fan. The card covers a total of three expansion slots so make sure you have enough space in you case.